The exhibition Linking the Past to the Present features works by Oklahoma artists Anita Fields (Osage) and Tony Tiger (Sac and Fox). Like other contemporary Native American artists, their work is constantly changing and developing, while the past remains an integral part in their creative explorations. 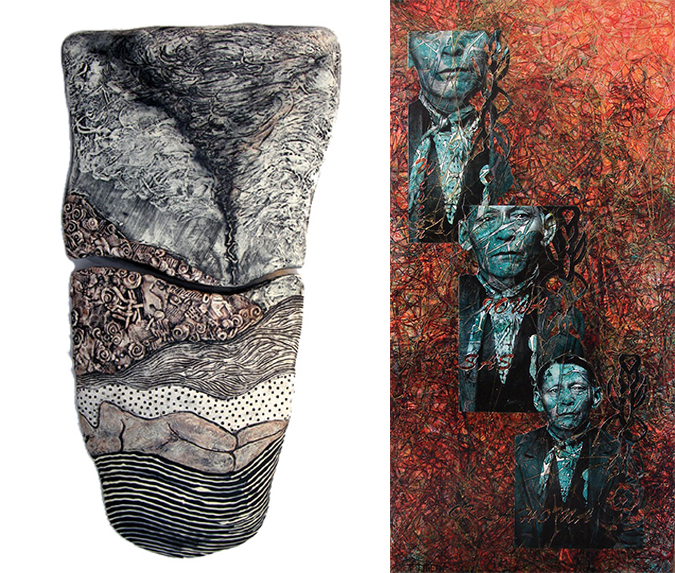 Whereas Fields incorporates abstract nature-related motifs based on traditional Osage textiles or Native American ceramics, Tiger uses historic photographs and tribal designs in his canvases to analyze different facets of tribal history and their continuing relevance. By embracing their own histories, both artists confirm the links that join past and present to the future.